NATURAL TEETH WHITENING……FACTS AND FICTION!! Everyone yearns for a Bright Shining Smile. When it comes to Teeth Whitening, we follow different methods featured online and in magazines like Oil pulling, Turmeric, Salt, Lemon, Charcoal and what not!! Just because a method is natural doesn’t mean its harmless. Natural methods of Whitening what people try……. Fruits are a great choice when eaten as such ,but these contain acids that when in contact with your teeth for a longer time may wear away your enamel. This might turn your teeth into a yellowish colour due to the erosion of enamel and the next layer dentin might be visible, furthur causing sensitivity. 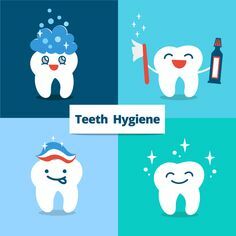 Some say that when scrubbing your teeth with ingredients like baking soda or hydrogen peroxide paste will bring a shine back to your teeth. Enamel is what you are looking to whiten, but if you are using a scrub that is too rough, you can cause more harm than good. These abrasives also wears off your teeth. This method of using a Banana peel over the tooth surface is quite common. The fact is that they don’t do any deep cleaning or removal of stains. These fruits are good to be eaten in a natural way and contains minerals which are good for your health. Don’t be a victim of these common misconceptions about teeth whitening. Your smile is often the 1st thing people notice about you. So always get your dentist opinion 1st. In case of extensive Discolouration of teeth , Whitening at Dentist Office would be an apt option. Teeth Whitening are absolutely safe and do not harm the Tooth Enamel. You are never fully dressed without a Bright Smile! !